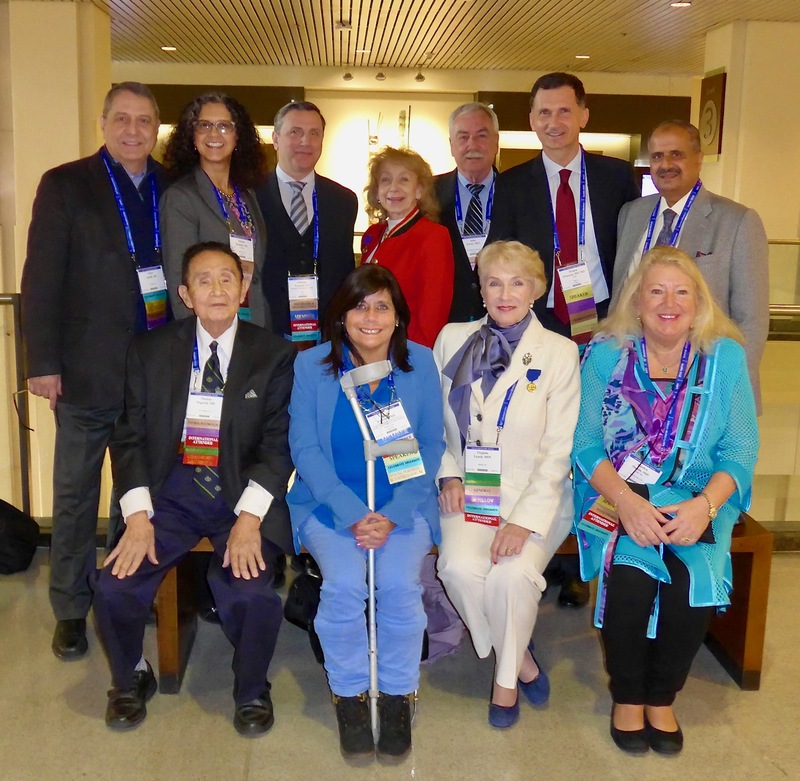 AAFS International Affairs Committee members. The AAFS International Affairs Committee (IAC) met during the AAFS annual meeting in Seattle and would like to thank the Academy for the courtesies extended to the committee. We are excited to report there were 516 international attendees representing 59 countries at the annual meeting. Part of the mission of the IAC is to make a difference in AAFS international attendees’ meeting experience by making them feel welcome. The International Attendee Reception held at the beginning of the meeting week is a must-attend event, with greetings at the door by members of the IAC, country flags, and delicious food and drink. Many expressed their gratitude for the interaction with the IAC. The IAC members would like to have more direct contact with our international attendees. Next year, a portion of the international registrant list (from the Academy) will be provided to IAC members to reach out to people before the annual meeting in Baltimore. This will promote the work of the IAC, provide a more personal touch, and encourage international participation. IAC Chair Dragan Primorac spoke about Kosovo’s forensic institute and the delicate issues stemming from the Balkan war which need forensic attention. The European Union has committed 1.2M Euros to establish forensic science in Kosovo. Virginia Lynch noted Kosovo was the first European country to recognize forensic nursing 25 years ago. The IAC plans to request funding from the AAFS Humanitarian and Human Rights Resource Center (HHRRC) to promote the AAFS annual meeting to other countries. Botswana has asked for a delegation from the AAFS as has Bangkok. Dr. Primorac announced that last year the AAFS had granted Honorary Membership to the Republic of Croatia President Kolinda Grabar-Kitarović for her support of forensic science. There was also discussion regarding a proposal for AAFS IAC to attend the International Society for Applied Biological Sciences (ISABS) meeting in June 2019 (www.ISABS.hr). It was proposed that the University of Split (partnering with Penn State) would host a five-day conference, and IAC members would attend a few days prior to teach at the university Master’s Program. Significant media attention would be anticipated. Also discussed at the IAC meeting was the possibility of publishing an opinion article in a citable journal, to include an IAC photo demonstrating international collaboration. It might be possible to publish in a Croatian journal with a complimentary article and photo in the AAFS Newsfeed. Special thanks to the IAC members and their continued outreach to the international forensic community!